Apparently sequencers are not that hard to build. With a single 555 chip and any combination of 4017 counters, various step counts can be achieved. The most common ones are 10 step and multiples of 9. 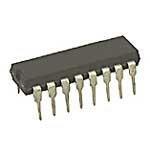 Because there are 10 count pins on each IC. However creating one that is 8, 16, 32, or even 64 is not hard. Simply refer to there great resources online.